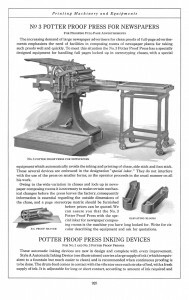 This page provide information about Potter flatbed cylinder proof presses. 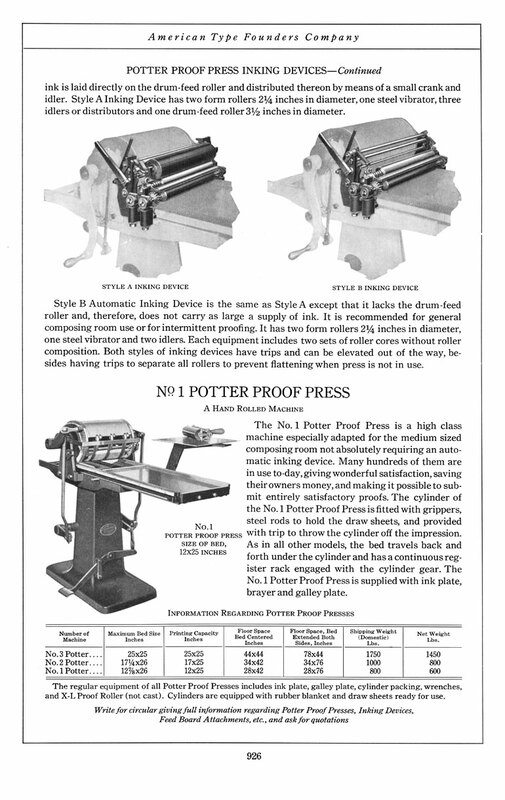 Patented in 1910 by William G. Potter, these presses have reciprocating beds and stationary carriages. They were made by A.F. Wanner & Co. until 1914 when it was reorganized as Horace Hacker & Co. 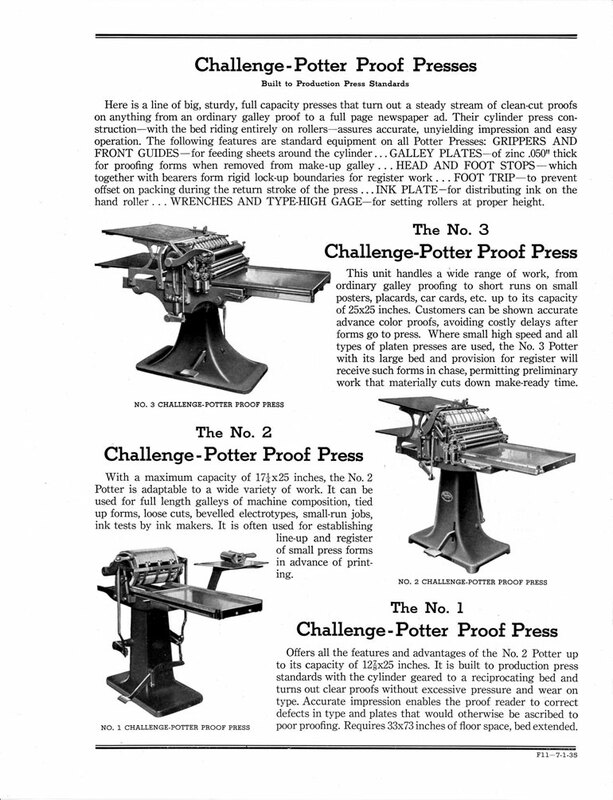 In 1931, Challenge Machinery acquired the Poco and Potter brands. The No. 0 has no grippers or inking assembly. The Nos. 1 and 2 have paper grippers, while the No. 3 has grippers and an inking assembly. No sources for parts are known. Any parts needed will have to be fabricated. 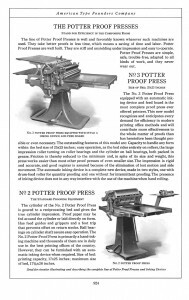 Some owners of Potter proof presses who could be of help are listed in the Potter census. 1. Add 40 lbs. for Nos. 1 and 2 feed board attachments. 2. Add 60 lbs. for No. 3 feed board attachment. 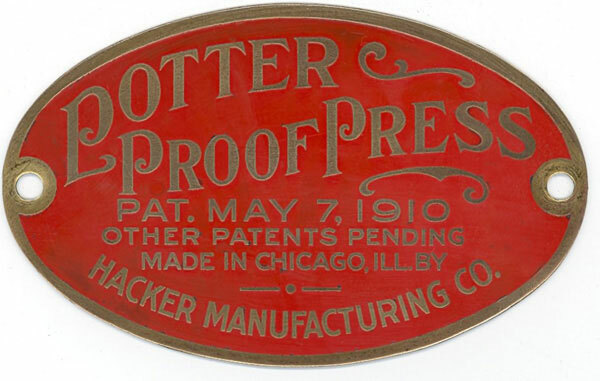 1910-14: Potter and Poco brands were patented in 1910 by Walter G. Potter, of whom little is known. Manufactured by A. F. Wanner Co. Chicago, IL. 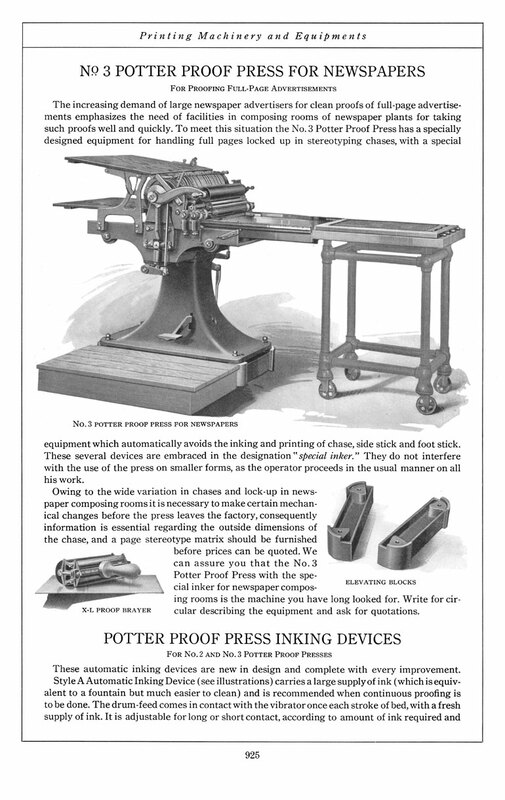 1914: the company is renamed as Horace Hacker Co., later Hacker Manufacturing. 1923: Some Potters have badges that say “Made for American Type Founders Co.”. ATF introduced “The American Cut Cost System” in their in their now famous 1923 specimen book. 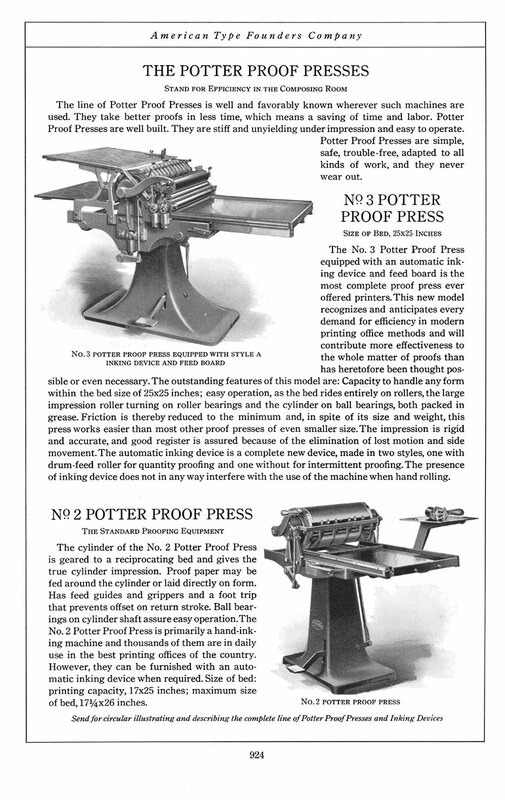 The system featured a comprehensive, customizable plant workflow program with an “American Cut Cost System” branded product line developed by ATF’s “efficiency engineers.” It’s component on composing rooms included the Chicago-built Potter proof press then made by Hacker Mfg. 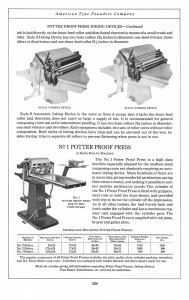 1935 ATF Machinery and Equipment Catalog p. F-11, F-13. 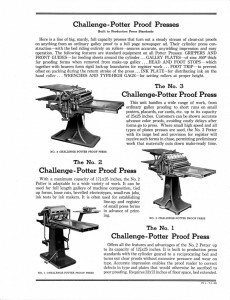 Vandercookpress.info is not legally affiliated with any owner of the names Challenge, Challenge Machinery Corp., Hacker, Potter, Poco or Vandercook.